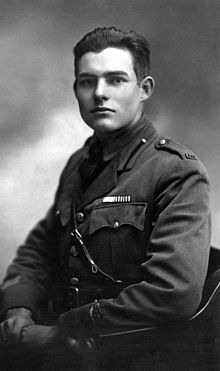 Not as much my type as Kerouac, but Ernest was a handsome fella, wasn’t he? I love old documents that allow me to get to know my favorite writers a little better, on a personal level. What was Kerouac’s daily life like in New York City before when he was still a struggling writer? I know because I read Windblown World: The Journals of Jack Kerouac. This book would have been excruciatingly boring without the context of the writer eventually becoming one of my favorite authors. But I pored over it, looking for clues to the man he was becoming. What I came away with was the feeling that I probably would have dated him, disastrously, if he and I had occupied the city at the same time instead of decades apart. He reminded me of every troubled writer boy I’ve ever drank too much with and lost my mind over. I liked that feeling, that I could possess him in my mind a bit without the heartache attached to such an experience. It also enriched the feeling I got when reading him thereafter. I thought of this when I read this morning about the electronic release of Hemingway’s mother’s scrapbooks about her son’s youngest years. Hemingway has followed me — and I mean that, he has followed me, and not the other way around — throughout my writing career. I like his work, but I have the feeling that I’m destined to be influenced by him more than that I want to. I became enamored of him first in the years right after college, when I was working very hard as a daily newspaper reporter and I noticed that his simple prose style was a very newspapery subject-verb-object approach. I wasn’t the first to notice this, but it struck me at a time when I needed it: Oh, I thought, what I do every day could actually turn into something literary. That helps when you’re writing four stories a day about the Newport Beach City Council, the controversy over a car dealership’s parking lot lighting, or a fight over a new liquor license in town. When I moved back to the Chicago area, where I grew up, I ended up in a lovely apartment in downtown Oak Park — which happened to be just a block from Hemingway’s birthplace home. Of course I took the tour. When I took an I-don’t-know-what-to-do-with-my-life job as the editor of a group of home decor trade magazines, I met Hemingway’s son in a showroom at a trade show, where a new line of Hemingway-inspired home accessories was being introduced. I got a black-and-white photo of myself taken with the man, who looked precisely like his father, white beard and all. For a while, I kept it in a braided-leather frame from the decor collection. Just last month, I traveled from my home in New York to Chicago for a little book-promotion tour of the hometown. I had my loveliest book launch party for Mary and Lou and Rhoda and Ted at the Hemingway house, which a close friend of mine now helps run. I thought it was a strange juxtaposition, The Mary Tyler Moore Show and Hemingway, until I happened upon a rogue fact: Hemingway is Mary Tyler Moore’s favorite writer. Oh, and guess what: In the guest bedroom where I stayed with a friend for the week, there is a ceiling fan that I recognized right away. It’s from that damn Hemingway home collection. I’m telling you, the man will not leave me alone. All of this is to say that I’m excited about the scrapbooks. Not because they tell us anything that interesting about the man — he saw to most of that himself — but that it tells us utterly ordinary things about him. It was sunny and the birds sang on the day he was born, or at least that’s how his glowing mother described it. He used big words and made “sage remarks” on fishing and hunting trips with his dad by the time he was 4. He misbehaved in church, played football, and was on his high school prom committee (!). Swap out the hunting trips and the football, and all the same could be said of me as a kid. The ordinary becomes extraordinary in light of an entire life story, and it makes us feel like the regular stuff of our own lives could someday add up to greatness. I’m glad to know Ernie just a little better, even after all these years. Why Do Ladies Love Woody Allen?